Steeped in the classic, hot-rodded American tone tradition, the Suhr Hedgehog is designed to offer players the utmost in tonal versatility. The Hedgehog is a modern all-tube, 50 watt single-channel amplifier that features a cascaded overdrive section, four voicings, and a series/parallel effects loop – all of which are easily programmable. 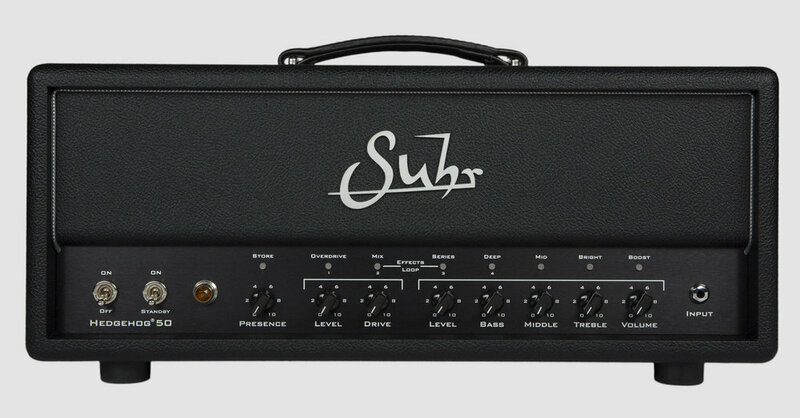 The Suhr Hedgehog is a hot-rodded american sounding amp with modern features and flexibility. The Hedgehog’s unique ability to select and program overdrive, voicing and effects loop options offers players a myriad of clean and overdriven tones from a single-channel amplifier. CHANNELS:Single channel with two modes and programmable tone buttons.